The average American checks social media at least once every waking hour. It’s where your current and prospective patients spend their time, and your presence, or lack thereof, speaks volumes. 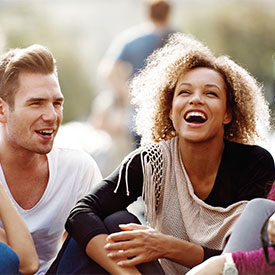 Social media has exponentially expanded the reach of word-of-mouth advertising. While a patient may have once recommended you to a few close friends, today experiences are shared with hundreds at a time. An active social media presence allows you to control the conversation by addressing questions and concerns while building trust in the process. Social media provides an arena for your practice to cultivate credibility and brand equity, but it requires nurturing and attention. Why choose ProSites for your dental social media marketing needs? Our team keeps you connected with patients (and their friends and family) on today’s most popular social networks. We build and manage your entire social media presence, so you can focus on your practice. Read below to learn more about what’s included with social media management solutions and check out the video to the left to learn the top 5 tips to marketing your practice on social media. A number of factors go into developing and executing the right social media strategy for your dental practice. We create a branded Facebook Business Page that also includes a stylized static image or video banner (depending on your package) to help you immediately set a professional impression. Additionally, we’ll write and optimize a custom “About Your Practice” section that highlights your services and specialties while showcasing your practice’s warm, friendly, and upbeat personality. By providing accurate and high-level information about the services you offer, you encourage visitors to click to your website to learn more. Your ProSites social media team works with you to understand your practice persona and goals – such as marketing to a particular audience or focusing on a specific specialty. We then use this information to update your Facebook Business Page with interesting, educational, and relevant posts that convey the personality of your practice and encourage followers to like, share, and spread the word. The result is an engaged online community that will advocate on your behalf. For Premium and Elite social media management packages, you receive a custom company video feature (frequency varies with service level) to really stand out above the competition. The video will highlight various aspects of your practice and end with a strong call-to-action to encourage visitors to call your practice and schedule an appointment. To help you easily understand the success of your social media marketing efforts, our Elite package includes custom lead capture and call tracking features that allow you to see exactly how many calls are coming to your practice from your Facebook Business Page. The Elite package additionally includes a custom landing page to help further improve conversion rates and the volume of new leads coming to you as a result of social media marketing for your dental practice. In today’s digital environment, instant gratification is key. The Elite social media management package, includes auto-messenger setup, which means if a patient messages your practice, on Facebook, it will automatically reply and share your contact information for a quick and seamless user-experience. 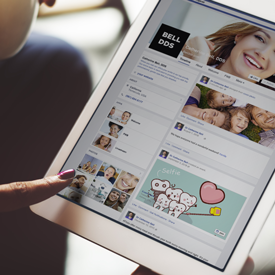 Social media for dental practices is one of the keys to a successful dental marketing strategy. It gives your practice a unique opportunity to reach out and engage current and prospective patients alike. Our in-house team of social media mavens blends a love of Internet marketing and knowledge of the dental space to create a social media strategy that attracts new patients and increases patient loyalty. Get a free social media marketing demo. Fill out the form and a ProSites Internet Marketing Advisor will guide you through options and recommendations for your social media strategy.